By, Lim Sher Maine (Bachelor’s Degree (Hons) Accounting and Finance). After my high school, I took A-level in MCKL and was accepted into Manchester University after the completion of my A-level. I always wanted to study abroad, however I failed to obtain a scholarship. 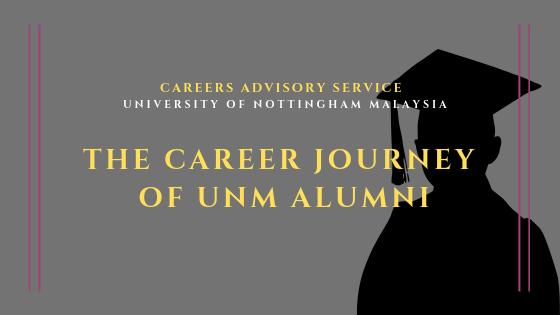 Knowing that I will be studying locally, I was searching for the University which provides UK transcript and I found The University of Nottingham Malaysia (UNM). Everything went smooth and I graduated in Accounting and Finance in Sept 2017. I am currently working in Dell Technologies as Accounting Senior Analyst under Dell’s Accounting Development Program (ADP). This is my first job after graduation and I started in August 2017. I relocated from KL to Penang for my first career – Dell Management Trainee Program. UNM Careers Advisory Service (CAS) was sending out emails of career opportunities and one of them was from Dell Technologies. Dell was promoting their management trainee program – Accounting Development Program (ADP) and Finance Development Program (FDP). I like the Dell Technologies’ culture of being flexible and emphasize on work life balance. When I saw the opportunity from Dell Technologies, I was attracted by its management trainee program, so I went ahead and applied it. I sent in my resume and then received a phone interview. I passed the phone interview and was called up for an on-campus interview. I was interviewed by a Director; the questions were mostly on my internship experiences and extra activities that I have took part throughout my university life. The final stage was an interview with the Accounting Vice President at Dell office. It was a more in-depth interview – from career aspiration to my perspective about life! I was glad that I did some research on Dell Technologies before the interview and I was shortlisted for the development program. Anyhow, just be prepared and have confidence in yourself — and it will all go well. My career planning was focusing more on developing myself especially on soft skills. I was actively involving in extra activities during my university life. I have tried organizing events, engaging externals like speakers and companies, leading a team of people towards achieving our common goal and even facilitating in a camp. I believe my soft skills are my additional advantage when I was looking for a career as a fresh graduate seeing that most of the people perform equally well in their exams. I started my career research when I was in the mid of my 2nd year – after I received an offer from Dell Technologies for their development program. I started looking around and exploring other opportunities available. 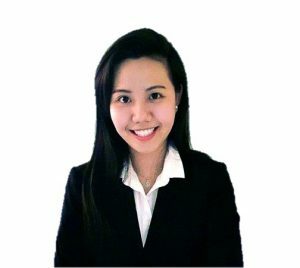 I wanted a Management Trainee Program because it is not only a fast-track career options and foreseeable future career progression — it was also because I strongly believe in a company that is willing to invest in its talents. Being in a company that is heavily investing in its talents, I believe you will have more opportunities and a greater career growth cycle. No perfect job – pick your own best choice! After being in the workforce for 1.5 years, I came into a realization that fresh graduates (read: it’s us!) were constantly looking for jobs of our degree major or sorely based on our interest. We soon realize that our career choices were not as what we are expecting, and we could not find the satisfaction and fulfillment in our job. That’s because we were looking for jobs only based on our degree major and interest, and not addressing our other needs and wants. Do not choose a career based on what you are majoring at in University but choose a career which addresses your passion and interest, a career which can leverage on your strengths and skill sets, a career which is aligned with your personal values, and a career which fulfill your wants like rapid career growth, flexible, high compensation or even contributing back to the society. Without satisfying these needs and wants, you will never be able to fully contribute and find happiness in whatever you are doing. As a fresh graduate, our examination transcript provides us the additional technical knowledge in our specific field and it acts as a ticket to the entrance of our dream company. Once you have entered the company, it all depends on your working performance and how hungry you are for growth and opportunities. Of course, as you progress in your career ladder, your degree transcript will then be an additional supporting document to enhance your opportunity for career progression. Ultimately, there is no perfect job in this world, only a suitable career of your own choice – address your passion/ interest, leverage on your strengths/ skill sets, align with your personal values and satisfy your wants. I believe that final decision should always be coming from yourself, no one knows you better than yourself. Take charge of your own life because it is yours and only yours! If you don’t, who are you expecting to do so for you.